← A Local Owners Get-together in Newcastle! 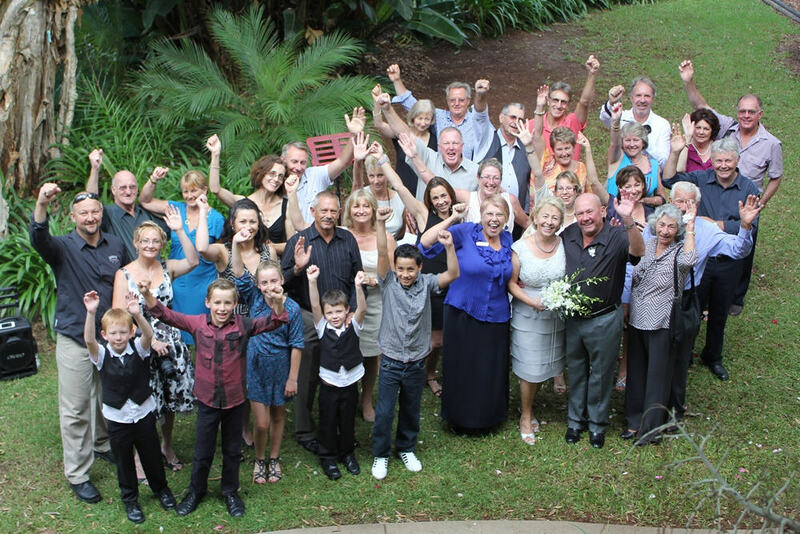 I was the Wedding Celebrant on Sunday, 22nd April 2012, when WorldMark Owners, Allan and Gail, were married on the beautiful grounds here at Wyndham Flynns Beach, Port Macquarie. The Bride and Groom booked about 10 rooms at our Flynns Beach resort, so that all family and friends could enjoy a week together prior to and after the wedding. The guests assembled in the garden, and when everyone was ready, the bride came down from her room, walked down the garden aisle to her favourite music and to the beaming smile of her husband-to-be, their children, grandchildren, family and closest friends. The wedding reception was held at a restaurant within walking distance from the Resort, so the whole wedding party could just walk to the venue (that way responsible drink/driving did not even have to be a concern to the wedding guests). The day was a beautiful sunny day and as you can see from the pictures, the bride and groom were ecstatic about the whole day! Guest Services Agent at Wyndham Flynns Beach and Wedding Celebrant. 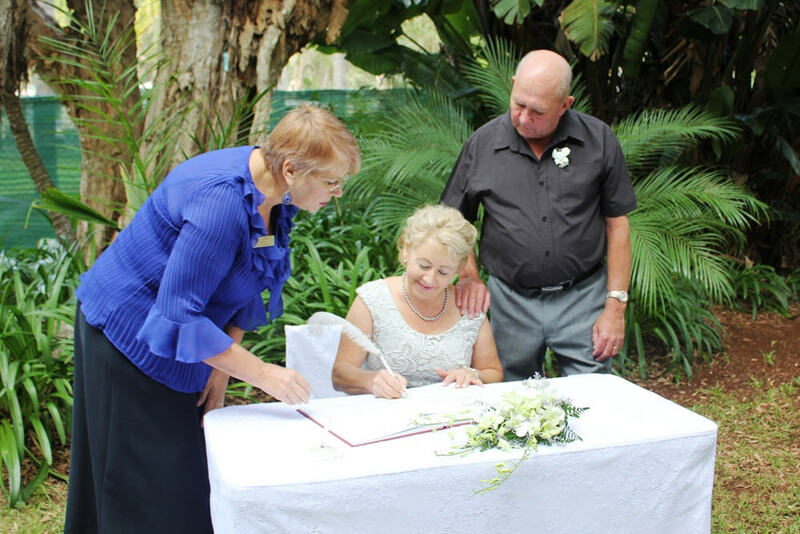 Editor’s Note: For more information on holding your special day at one of our resorts, please click here. This entry was posted in (NSW) Port Macquarie and tagged australia, family, Flynns Beach, port macquarie, vacation ownership, wedding, worldmark, Wyndham Resorts. Bookmark the permalink.